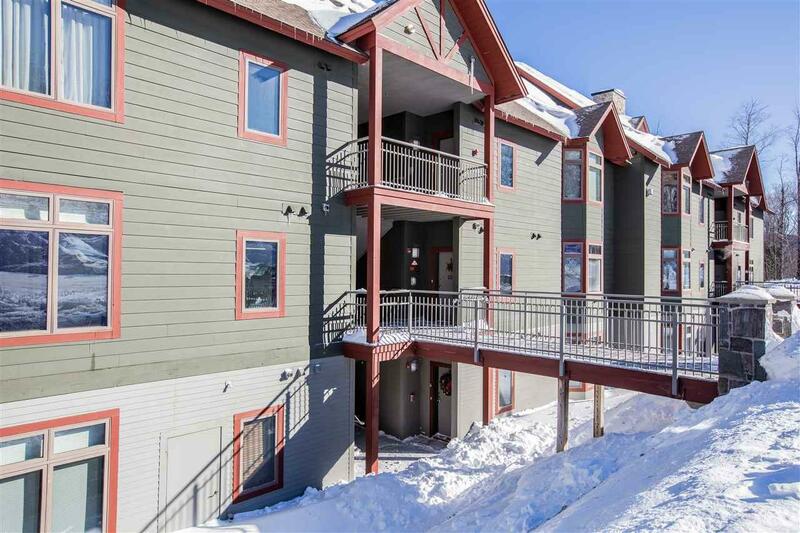 Luxury ski-in/ski-out condominium just steps away from the Sunrise ski lift. This beautiful three-bedroom, three-bathroom condominium features a well-designed mudroom with built-in cubbies to keep your ski gear organized and ready to go. The modern kitchen features granite countertops, gorgeous maple cabinets with matte black hardware, stainless appliances and striking hardwood floors. 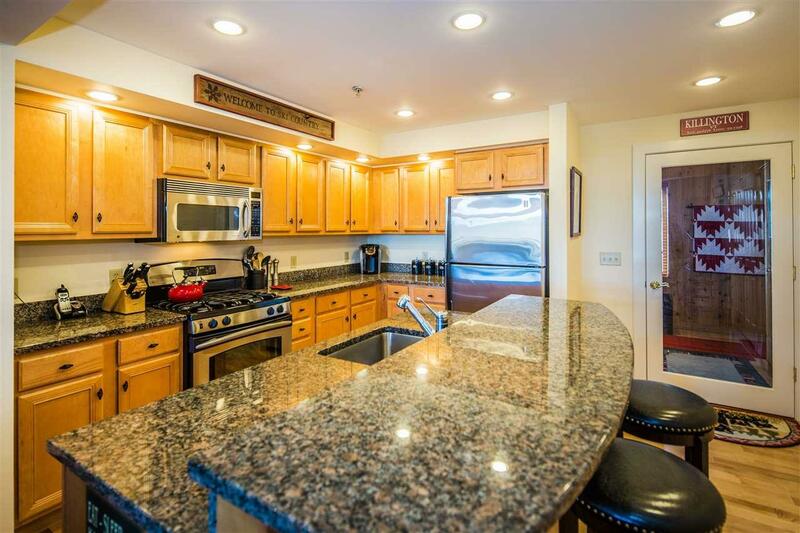 The kitchen opens to a dining area and a bright and spacious living room with new carpet, granite-framed gas fireplace and French doors leading to a private balcony with lovely long range views of the Green Mountains. The generous master bedroom suite includes a full bathroom with double sinks, granite surfaces, jetted tub and separate glass enclosed shower. Unique to this unit, both the living room and master bedroom are fitted with vents for free-standing air conditioners, assuring you'll be comfortable all summer long. The Sunrise Sports Center is just a short walk from your door where you can enjoy year-round amenities including indoor and outdoor pools, exercise room, hot tubs, steam room, sauna, outdoor barbeques, hiking and snowshoe trails. 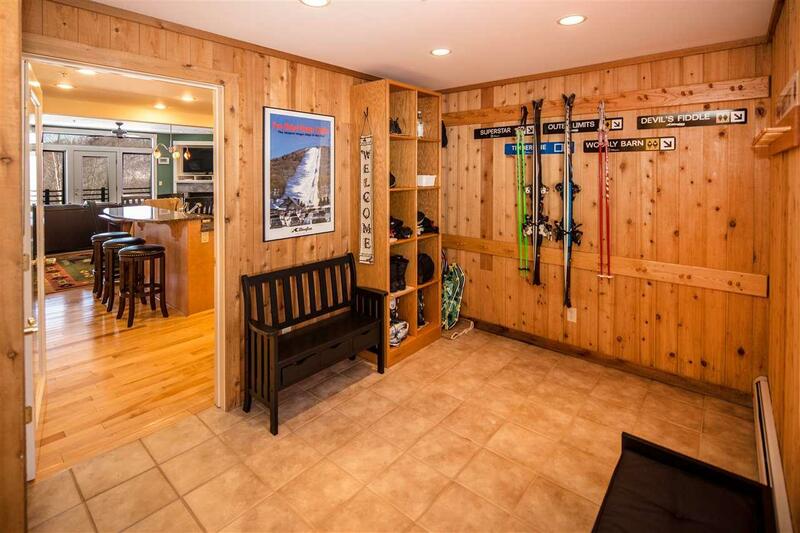 Offered fully furnished and equipped, this beautiful slopeside property needs nothing, so you can move right in and experience all that Killington has to offer. 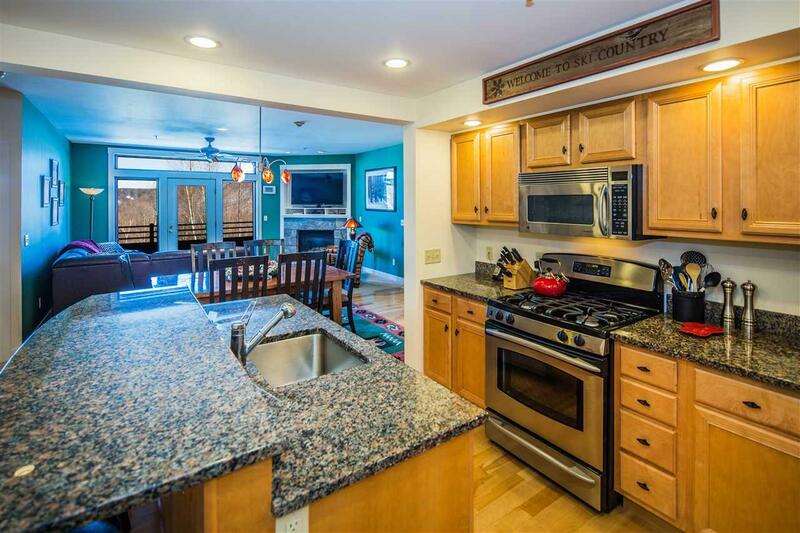 If you're looking for convenience and quality in a ski-in/ski-out location, this may be your next vacation home. Courtesy of Kyle Kershner of Killington Pico Realty.